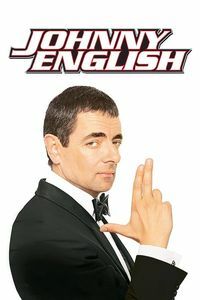 (In theaters, July 2003) It’s too bad that Rowan Atkinson has become famous for his character of “Mr. Bean” rather than for “Edmund Blackadder”. This film is sort of a rehash of Bean’s bumbling physical antics along with a feeble attempt at replicating the Bond films. Neither portion works; Atkinson’s pratfalls quickly become tiresome, and he does scarcely little to make us cheer for him. (Only when he does slip on the Blackadder poise and becomes a devastatingly efficient agent -in his dreams or delusions- does he truly come alive and charming.) Confronted with the accumulating evidence of his incompetence, the heroine’s infatuation with English becomes less than a cypher and more of a screenwriter’s conceit. (On the other hand, Natalie Imbruglia does a good job at looking cute and saying her lines properly.) It’s not as if the film is worthless: the car chase stands out as an inspired bit of comedy, Atkinson has his moments, it’s fun to contemplate the very British horror of being ruled by a Frenchman and the film’s all-too-brief depiction of “Canadians” is hilarious. But as a Bond parody, it never gets running. As a comedy, it’s definitely low on laughs. And as an amusing character piece, it never earns our sympathy.